ITW Polymers & Fluids (ITWPF) is a provider of MRO solutions for the industrial market specializing in Corrosion Prevention, Lubrication & Asset Management & Repair. Our portfolio includes brands such as Galmet® and EPIREZ, both accessible through the CSS Group. Galmet® offers a complete range of corrosion resistant solutions for steel protection and industrial top coating. The specially formulated anti-corrosive coatings are designed to preserve and protect both new and old steel structures and other steel assets including tools and machinery. Galmet® continues to lead the market in zinc spray solutions and also provides a variety of high-quality industrial top coating solutions and application specific primers. 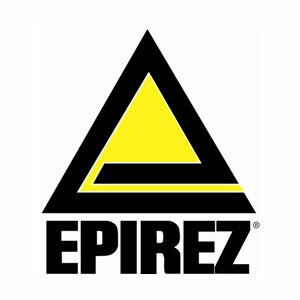 EPIREZ provides a comprehensive range of cement based and epoxy technologies. Applications include; structural grouting for precise foundations for the alignment of machinery and heavy equipment. Concrete repair products for the treatment of spalled and damaged concrete. Protective coatings (epoxy & acid resistant) for chemical spill containment and protection against acid related degradation. Flooring & Anti-Slip Coatings for industrial & large scale applications and Chemical Anchors & Adhesives for structural bonding for general construction, civil infrastructure and the manufacturing industries. Products for both brands continue to be manufactured locally by ITWPF in Wetherill Park, NSW in line with ISO 9001 accredited quality systems.